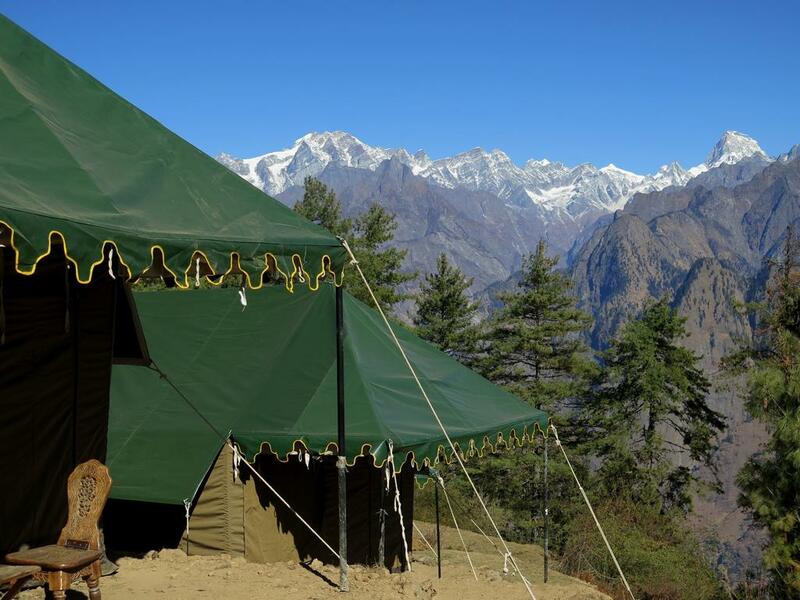 Six spacious luxury swiss tents. 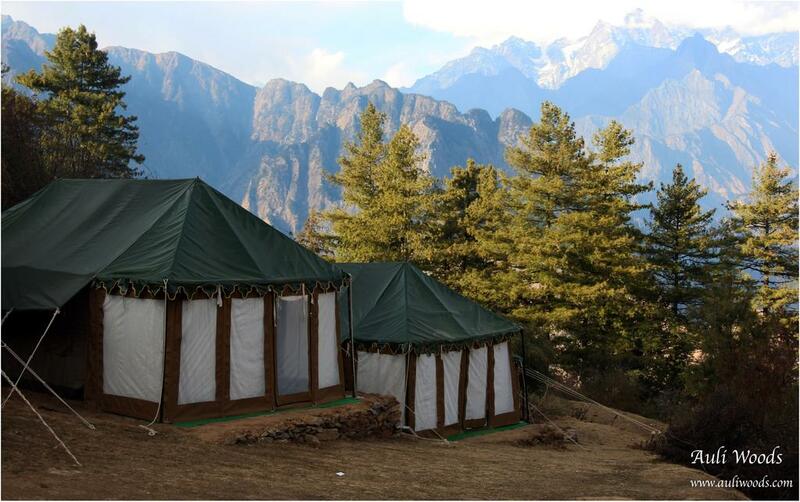 Two single double beds in each tent. Attached private toilet and bath for each tent. 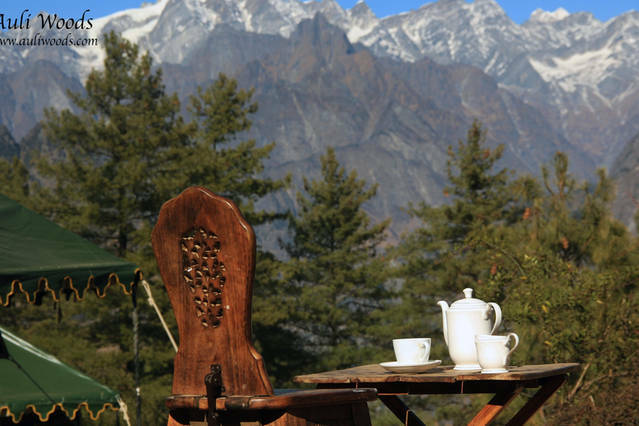 Private sit-out to each tent, overlooking Himalayan peaks. Luxury 100 % cotton linen eco bath products. Extra bed (folding or ground, one max for each tent) available (chargeable). Hot water bags and extra blankets available (chargeable). 24x7 running hot and cold water. Electricity with scheduled generator back-up. 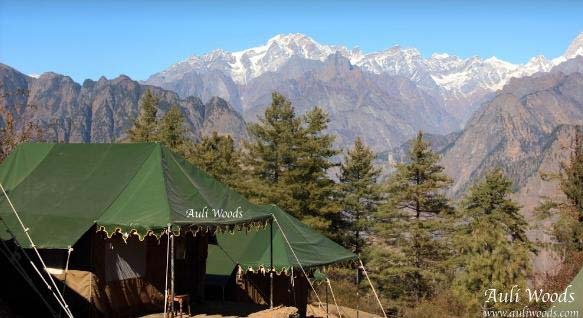 All tents overlooking Himalayan peaks (Nanda Devi, Barmal, Mana peak, Hathi-Ghodi, Palkhi). Kitchen for freshly cooked hot meals. Bon fire/Bukhari arrangementon select days at scheduled time. 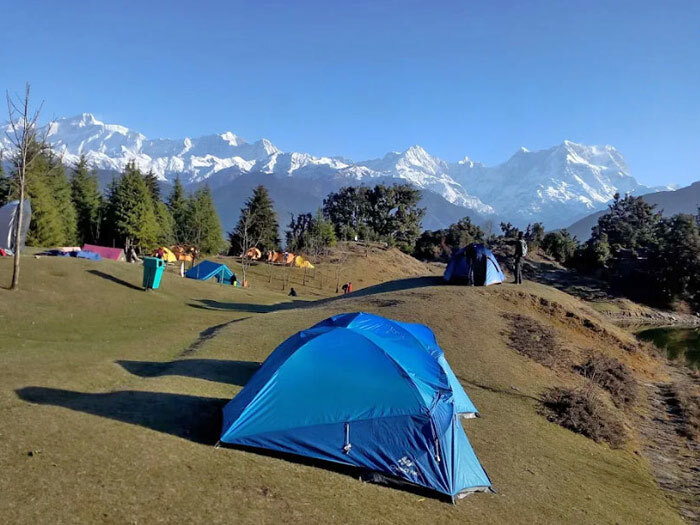 Range of activities –day hikes, jungle trails, bird watching, photography trips, village tours, night treks, horse riding, excursions, sightseeing, yoga/fitness sessions, experiencing Himalayan agriculture and more (just ask for details, schedules and charges). 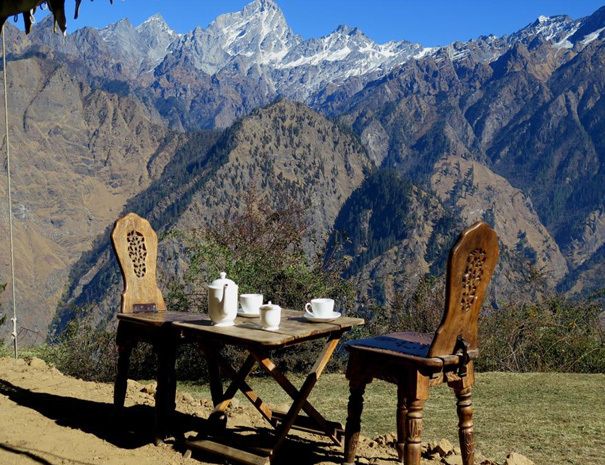 Hotel bookings in Joshimath, Badrinath, Rishikesh, Haridwar, Dehradun and Rudraprayag. A small shop for sundry provisions is 50 mtrs from the campsite. Chair-car station at 200 mtr walking distance. 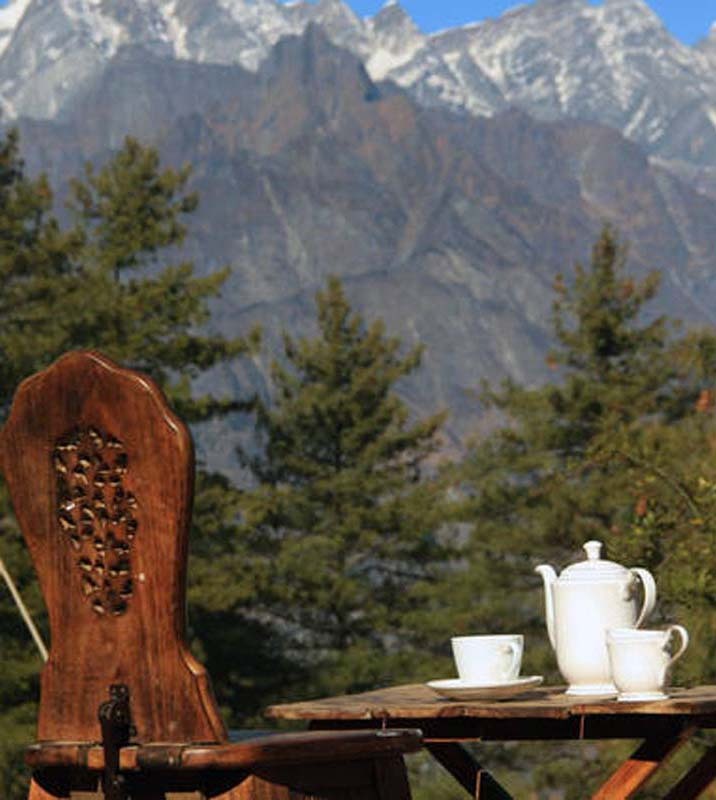 Our campsite will remain open from 1 April to 10 January.